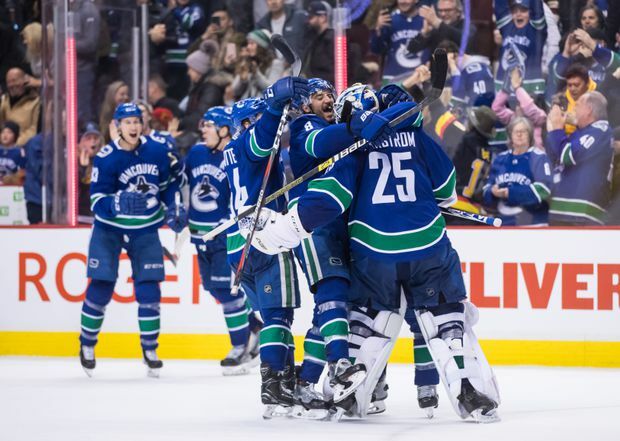 Vancouver Canucks players mob goalie Jacob Markstrom (25) after their shootout win Saturday against the Calgary Flames. “Man, (Markstrom) was dialled in tonight. What am I going to say? He was awesome tonight,” Canucks coach Travis Green said after the game. Vancouver’s win keeps the team firmly entrenched in a battled for a Western Conference wild card spot.